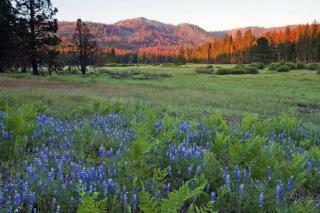 (Newser) – Yosemite National Park is getting 400 more acres, its largest expansion since 1949. The Trust for Public Land bought the land, which was previously used for logging and cattle grazing and which lies along the park's western boundary, for $2.3 million, NPR reports. The trust, a conservation group whose purchase was supported by private donors and a number of other groups, then donated the land to Yosemite on Wednesday. Ranching will cease on the land in two years. "The owners of the land tell the AP they declined a higher offer for the land that would have seen it turned into a resort." Praise the Lord! Yosemite NP doesn't need any more traffic congestion. But....bulldozing it for a resort would have meant JOBS for the MIDDLE CLASS!!! Stupid libs. /s Do I have the right GOP tone?